Snapchat has added Irish content to its Discover feature for the first time. Partners who will be contributing to it include Irish Independent, Joe.ie, Off The Ball, Foil Arms & Hog, MetDaan and eir sport. Discover was originally launched over three years ago and allows publishers to create and upload bespoke magazine-style features and short TV like content called Shows of around five minutes duration. The Irish producers will join more than 100 others around the world. 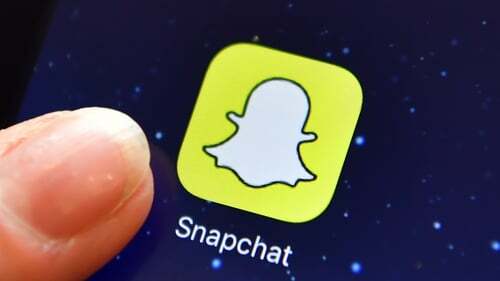 "More than 2 in 5 smartphone users in Ireland use Snapchat on a monthly basis, so we are thrilled to bring a more personalised content experience to them," said Rami Saad, Head of International Content Partnerships at Snap. "Our partners are a diverse mix of credible, local voices and make a brilliant addition to the platform. We are also excited to help our partners build their brand with this unique, engaged audience." Snapchat won't say exactly how many users it has here, but according to the latest IPSOS MRBI Social Messaging Quarterly 31% of over 15 year-olds have an account and 64% use it daily. Among the Shows that will be available at launch here are Argue Me from Joe.ie, The Crappy Quiz from Off The Ball, as well as offerings from Foil Arms & Hog Show, MetDaan and eir sport. According to Snap, the parent firm of Snapchat, the time spent watching Shows on the messaging platform globally has more than tripled since the beginning of the year. The company says it has supported the partners in the development of the content, but the publishers have maintained editorial independence throughout. Snap says it will continue to talk to Irish publishers with a view to adding more localised Discover content into the future.